There are nearly 175 million monthly active users on Pinterest. 75 million Pinterest users from the US alone and 100 million Pinterest users from outside the US. There are 50 billion+ Pinterest Pins and 1 billion+ Pinterest boards. The market value of Pinterest is more than 11 billion US Dollars. More than 70% of Pinterest users are women. Majority of Pinterest users are aged below 40. Though Pinterest marketing comes under a broad category of social media marketing, marketing on Pinterest is fun and has got long-term benefits – the average lifespan and reach of a Pin is greater than that of a Facebook post or a Twitter tweet. 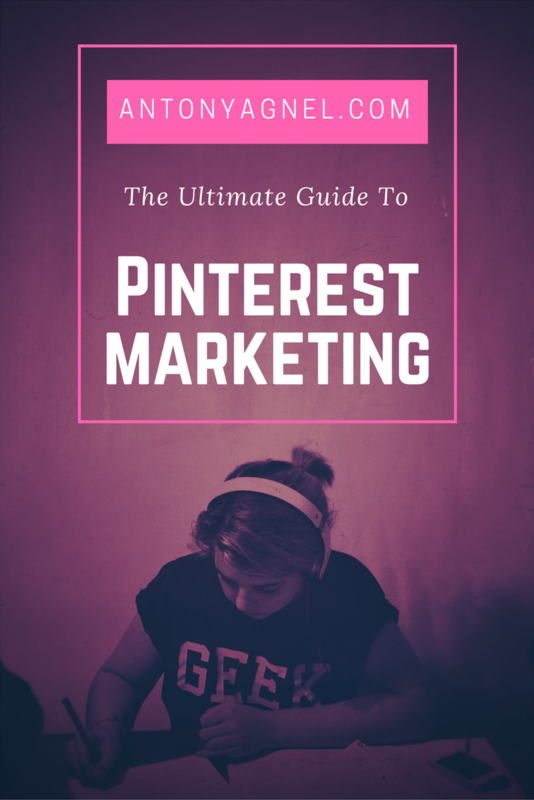 Pinterest marketing works very differently from all other social media platforms. You don’t need a Pinterest marketing course to learn how to use Pinterest. All it takes for you is to put to use the below Pinterest marketing strategies and guidelines to build and engage with your followers. You can also call it a Pinterest marketing blueprint or cheat sheet. Once you are logged in to Pinterest, go to the account settings section and enter your blog address in the website field. You will now have to verify your blog address so that you can get access to your website’s Pinterest analytics. You can use this information to see what people are saving from your blog. Ever since Buffer started pinning 10 times per day, engagement with their Pins grew by 150%. Since you cannot always be free sitting in front of Pinterest, you can schedule your Pins beforehand. I use Buffer for Pinterest to schedule my Pins for the week. By the way, don’t forget to equally space it out or you’ll look like a spammer. Spacing out Pins will make sure your content is always visible to Pinterest users and not just during a particular time in a day. I have tried many free tools for scheduling Pinterest posts but nothing worked fine like Buffer. For just $10 per month, you can manage all your Pinterest activities from the Buffer app. Rich Pins is a free Pinterest feature which allows you to display extra information along with your Pins. Rich Pins are available for these types of content – apps, products, recipes, and articles. Follow this documentation to easily add Rich Pins support to your account. Product Pins display the real-time pricing, buying location and availability of your product. Recipe Pins display the ingredients, cooking time and serving size of the dish. Article Pins display a headline, author and the article description along with a link. App Pins allow you to add an install button to your app, but this feature is available for iOS only devices only. These Rich Pins are just like the Twitter Cards and Facebook Open Graph tags. If you are still wondering how to get Rich Pins support for your blog, it is as simple as adding Pinterest meta tags to your site, validating it using Pinterest rich pins validator and applying for rich pins support. It won’t take you more than 30 minutes at the maximum. Once your application is successful and your pins are validated, you will receive an email from Pinterest stating that rich pins support on your account has been enabled. This last step alone might take up to a week but there’s nothing to worry about it. Once you have been approved, all your normal Pins are converted into Rich Pins. I noticed a steady increase in traffic from Pinterest within a week of getting accepted into the Rich Pins program. With regular posting and Rich Pins support, you can easily boost your traffic from Pinterest. Unlike Facebook and Twitter, vertical images perform the best on Pinterest. It has been found that the best aspect ratio for Pinterest images is 2:3 or 1:3.5, with a minimum width of 600 pixels. You can use a free tool like Canva to create awesome images and graphics for pinning. Though I myself haven’t properly implemented this tip yet, I have heard from multiple sources that vertical images work the best for them on Pinterest. Very soon, I will also be adding new Pinterest optimized images and graphics to my blog. 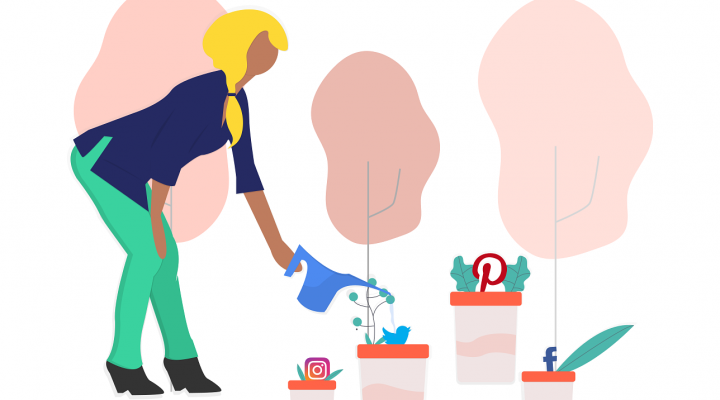 Here’s an up-to-date guide on social media image sizes from Sprout Social which you might find handy when designing social media banners and graphics. You won’t be needing it if you’re using Canva. Don’t add offer or discount details. Keep away from pitching your product directly. Creating a long keyword rich description will be good for your Pins in the long run as its lifetime will be more. But in general, Pins with short description saw the most engagement. Also, a majority of the top posts on Pinterest didn’t use hashtags. So, it’s better for you to hold yourself from spamming your pin with hashtags. In general, the majority of the Pins you find on Pinterest is designed in this way. Nearly 70-80% of the images contain some text on the images. These Pins tend to perform better than images with no text over them. This is mainly because people don’t have the need to click on the images to see and understand its context. Using this tip, you can easily turn Pinterest into a social bookmarking tool. Once you have published a new article on your blog, pin it to one of your boards and grab the pin’s URL (link) and start sharing your blog posts along with the read it later Pinterest link. This way, people can directly pin your post to their read it later Pinterest board and come back later when they have time. This increases your post visibility on Pinterest and at the same time, people can keep up-to-date with your latest content. A little while back I suggested you create a compelling keyword-rich description for your Pins. Now, I am suggesting you create boards with keyword rich title and description. This, way people can easily sort through and find the content relevant to them. Also, it helps to keep your posts organized and at the same time is very good for optimizing your Pins for search engines. If your blog is about social media marketing tips and tricks, you can create separate keyword optimized boards for each social network. But hey, don’t make your board description too long – keep it short and crisp. Find and join popular boards on Pinterest using a free tool like Pin Groupie. By collaborating with other pinners, you will be able to drive more quality and authentic traffic to your own blog. 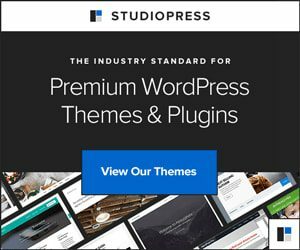 Moreover, you will be able to present your content in front of many eyeballs, which means more interaction with your Pins and more conversions in the long-term. Alternatively, you can create a board and invite contributors who are pinning in the same niche (industry) as you. For example, if you are a beauty blogger and have got a board covering the latest cosmetic products from Oriflame and L’Oreal, you can invite other pinners who cover the same topic in their Pins. You can monitor your Pinterest analytics dashboard to see statistics related to your Pinterest account such as – average daily impressions and views of your profile, average monthly views, and engagement with your content, activity from your blog address and top pin impressions in the last 30 days. Using this information, you can assess the performance of your Pinterest marketing strategy. Go to ‘social networks’ tab under your account settings to easily add Facebook and Twitter to your Pinterest account. Once you have connected your Pinterest account to your personal or business Facebook and Twitter accounts, you can easily share Pins and Boards with these networks. You can also ‘claim’ your other social media accounts to connect your content from other networks with Pinterest. By doing so, Pinterest will attribute pins from your claimed accounts to your Pinterest profile. Currently, you can claim your Instagram, Etsy, and YouTube accounts and this setting can be found under the ‘Claim’ menu in the settings section. Though I am not a Pinterest marketing expert, I am pretty sure you will benefit by following the above mentioned Pinterest marketing best practices. Thus I hope that you found my Pinterest marketing ideas and tips useful for laying down a proper Pinterest marketing strategy for your blog, brand or business. Pin this graphic would you? Awesome article. I am really happy with your article quality and direction. Thank you for your comment, glad you liked it! If you are able to follow the above mentioned steps properly, I’m pretty sure you will be able to grow your Pinterest followers for free in no time. I’ll try 🙂 Quite complicated to use Pinterest, compared to other social networks. I do agree with you. At first, I found it confusing but as I started spending some time every day on Pinterest I got to understand the way pins and boards work on Pinterest. Pins are like the tags you use on blog posts and boards are like the blog post categories. Hope that clears some air surrounding your confusion. It might have. What’s the try this pin – thing for? With the “tried it” checkmark on Pins, you can share the ideas you’ve tried and would recommend to others. Hmmm. I just went over there. Does that mean I should publish new boards all the time? Not really, create around 5-10 boards and start pinning interesting stuff on to them regularly. You can pin any number of pins to your boards, the maximum limit being 500 boards and 200,000 pins. Hope that helps! Good ideas, now I just need to get to work and implement them. Thank you Sue, I’m glad you liked these Pinterest marketing ideas. Good luck with your Pinterest marketing strategy! Hello Antony, I love your post very much! Thank you, Miranda. Glad that you like my Pinterest marketing tips! Great post! Keep up the momentum! You are welcome team, glad that you like my tips on Pinterest marketing!